I love buffalo sauce. The classic Buffalo Chicken Wings is by far one of my favorites and one of my daughter’s favorites. Her first taste of a homemade wing was a buffalo wing! 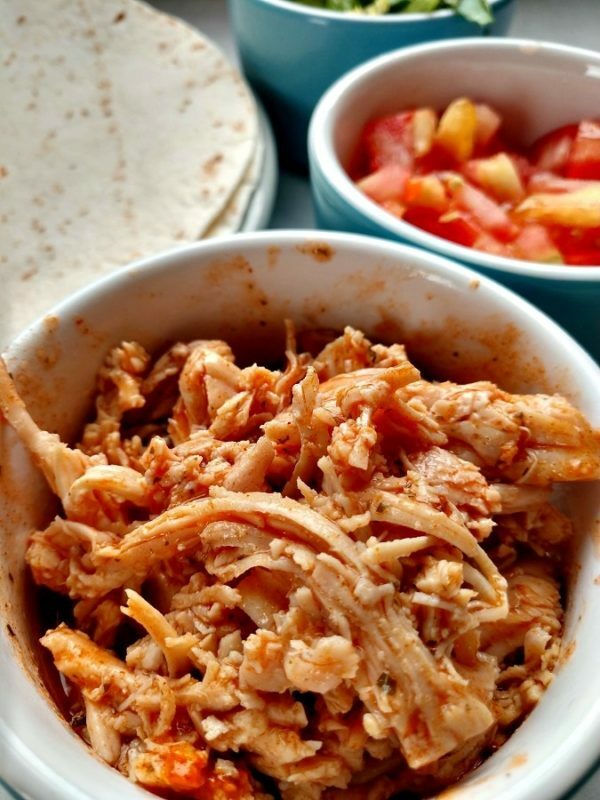 We have tried Crock-Pot Buffalo Chicken Dip (which is a great dip and one that friends will RAVE about) and Buffalo Wings, now it is time to make Crock-Pot Buffalo Chicken Tacos using a shredded buffalo chicken meat cooked in the slow cooker. Three ingredients added to a 4 qt or 5 qt slow cooker. Let your slow cooker do all the work! 4 Hours on LOW for thawed chicken breasts. I like to remove each breast and shred it with two forks in a bowl. I then put the meat back in the slow cooker and mix it in the sauce. 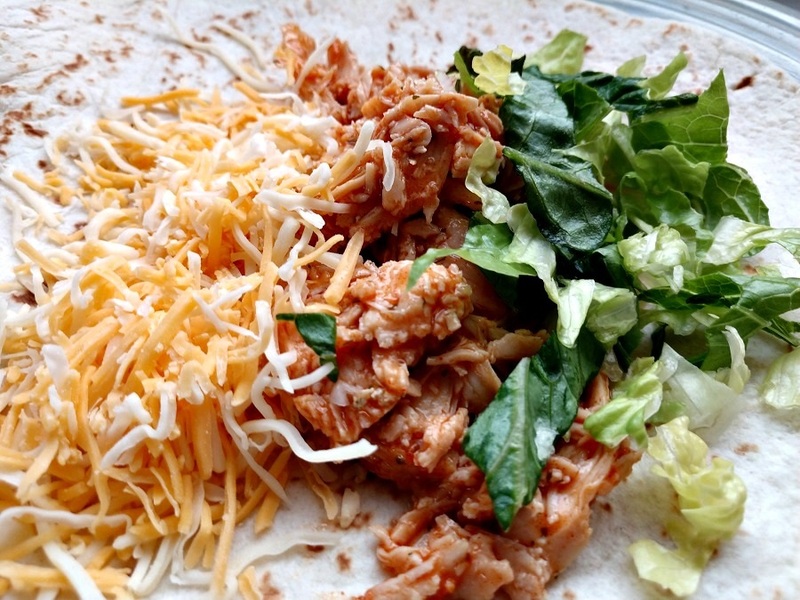 Start each taco with a couple heaping spoonfuls of Shredded Buffalo Chicken. Then add in your favorite toppings! Lettuce, cheese, chopped tomatoes and even chopped onions. You can also use the Shredded Buffalo Chicken in nachos! Or even fill a sub with the meat and top with a little ranch for a Buffalo Chicken Sub Sandwich. This makes a great freezer make ahead meal. Put the chicken in a gallon ziploc bag. Add in the buffalo sauce and butter pats. Make sure to squeeze all the air out of the bag and seal the bag. Label the bag with the type of recipe and “cook on LOW for 4 hours”. When you are ready to use the freezer meal, remove the bag the night before from the freezer and thaw in a bowl in the refrigerator. Open the bag and dump the ingredients in the slow cooker when you are ready to cook it. Spicy shredded chicken meat in a taco. 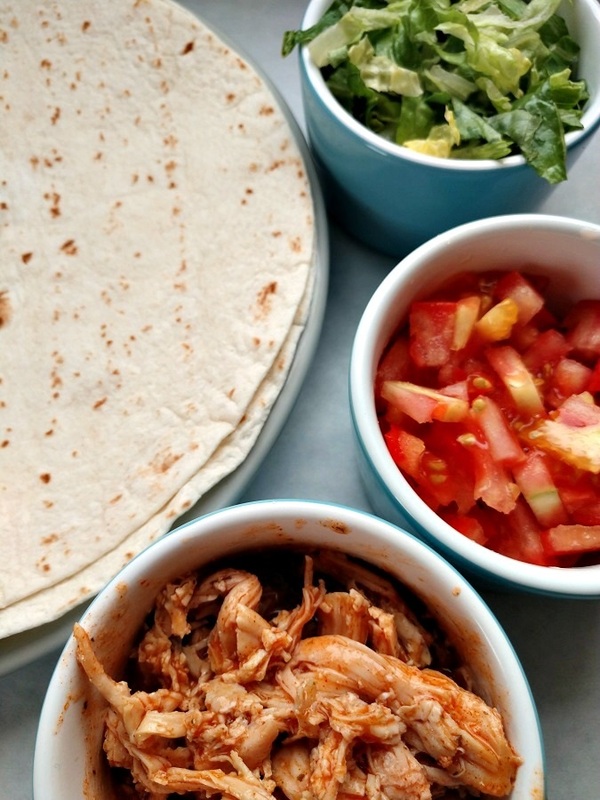 3 ingredients in the slow cooker and add your favorite taco ingredients. Add the chicken, buffalo sauce and butter to the crock-pot. Cover and Cook on LOW for 4 hours or until the chicken registers 165°F (74°C) on a meat thermometer. Remove the chicken from the crock-pot and shred with a fork. Return the chicken to the crock-pot and stir well.